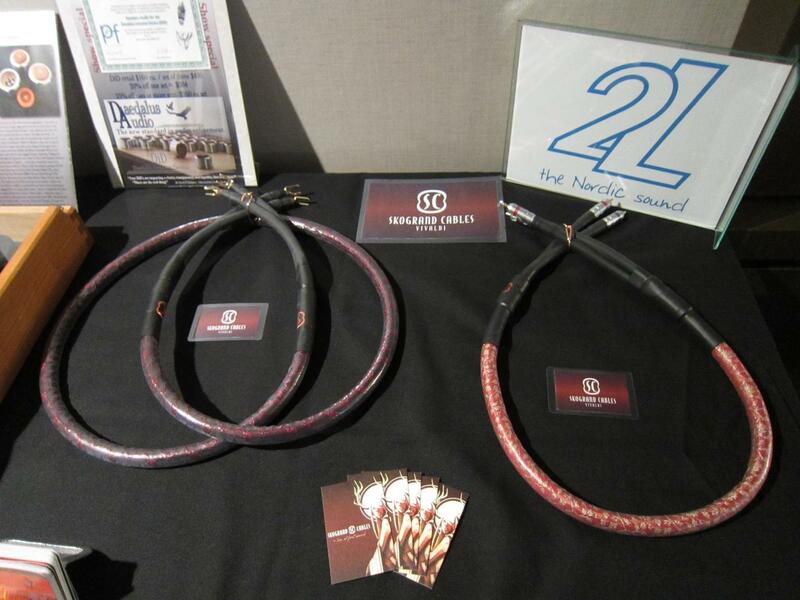 This year’s Rocky Mountain Audio Fest had far less angst than last year's event. The show venue was no longer under renovation and exhibitors were better able to deal with the acoustic challenges presented by the “built-ins” in the rooms. As always, Marjorie Baumert and her team did a masterful job organizing this audio extravaganza and attendance was strong. Moreover, I believe there were more world and U.S. premiers at RMAF than in past years, with several companies no longer waiting to unveil their new audio creations at CES. My beat was focused on solid-state electronics, but I’ve drifted beyond those boundaries to include some noteworthy hybrid components, step-up transformers, phonostages, turntables, and a few cables. While I certainly could have used another day at the show, I was able to cover a lot of ground and unearthed several special products and great values. Right out of the gate, I’m going to cheat a bit here, and include Nagra’s HD preamplifier ($59,500) among my top selections. It does utilize one tube per channel so cannot be classified as a solid-state component, but it sounds so incredible, I feel obligated to report on it. The HD preamplifier is designed to complement Nagra’s other HD electronics and includes several patent-pending technologies, such as a unique volume control that allows perfect level matching via a tap on Nagra’s custom output transformers. Its sophisticated power supply located in a separate chassis utilizes a unique virtual battery technology that eliminates battery charging time. The preamp has a suspension to isolate it from external disturbances to help lower the noise floor and increase clarity. In a system with a Nagra tape deck, Kronos turntable, Nagra phonostage and HD amplifiers, Kubala Sosna cables, and Wilson Alexia Series 2 loudspeakers, the HD preamp produced a very natural, transparent, detailed, and full-bodied sound—certainly one of the best at the show. The Nagra HD preamplifier is scheduled to ship at the end of November. 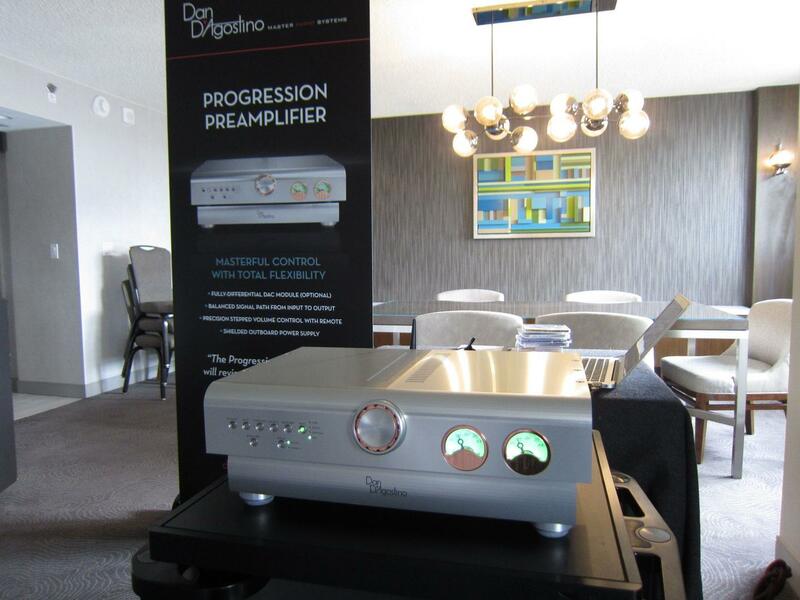 The beautiful D’Agostino Progression preamplifier ($22,000) was another stellar performer featuring a two-chassis design. It utilizes many circuit and mechanical aspects derived from the company’s flagship Momentum preamplifier along with several new features. In a first for a D’Agostino preamp, the Progression offers an optional digital module ($4500) featuring a fully differential DAC handling PCM signals up to 24-bit/384kHz and DSD signals up to 4xDSD (11.2MHz), in addition to Bluetooth technology in its remote control. In a system with a D’Agostino Progression amplifier driving MartinLogan ESL15A speakers, as well as a Stromtank S5000 HP battery power source, the sound was smooth, detailed, and transparent with an expansive, yet focused soundstage. This system was a candidate for best sound of the show. For those who like to live off the grid, D’Agostino also introduced a smaller Stromtank, the S2500 ($19,500) with half the power of the larger unit, but double the current of the original. 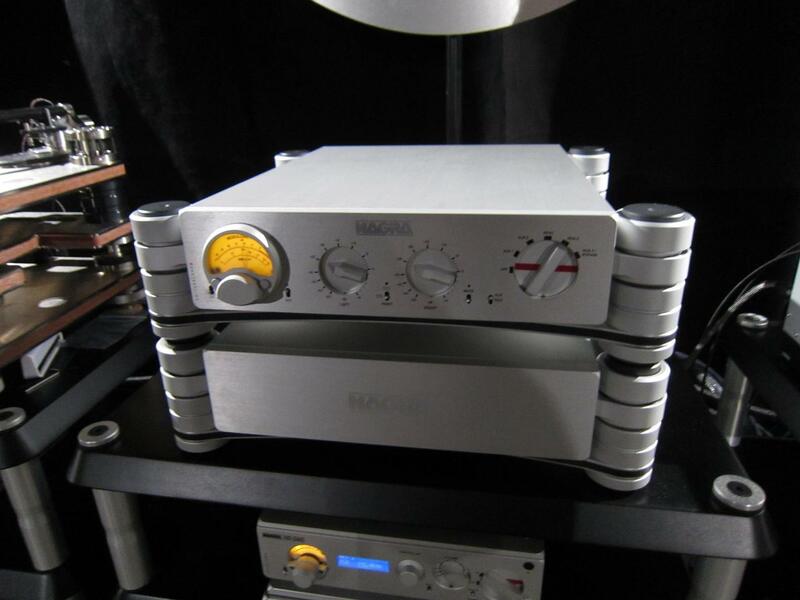 The Soulution 330 integrated amplifier ($22,500) was another sonic standout. The 330 amp produces 120Wpc (Class A) into 8 ohms and combines an “uncompromising preamplifier” with an amplification circuit based on the Soulution Series 5 amplifiers. A total of six power supplies feed the 330 integrated, and both a phonostage and D/A converter are available as options. Driving Piega Coax 711 speakers ($25k/pr.) and using a Soulution 560 DAC and Olasonic CD-1 transport as a front end, the sound was exquisite with remarkable transparency and clarity, natural timbre, focused soundstaging, and a powerful bottom end. Doug White of The Voice That Is always features systems in the top sonic ranks and RMAF was no exception. Doug premiered the TIDAL Audio Ferios Monobloc amplifiers ($67,900) in a mostly all-TIDAL system with its Akira speakers, Presencio Reference preamplifier, Camira Digital music converter, and TIDAL Reference cables, as well as the TW-Acustic Raven Anniversary ’table and 10.5 tonearm, and Transfiguration Proteus mc cartridge. The Ferios monos offer plenty of power reserves with an all-new 1600 VA power supply, 300Wpc into 8 ohms, pure silver hollow-conductor EMI transformers, TIDAL’s proprietary amplifier protection management system, hand-selected and matched transitors, etc. Johnny Hartman’s voice was palpable, natural, and realistic—it felt like he was in the room, and the TIDAL Ferios seemed to have unlimited power with explosive dynamics and fine detail retrieval. In contrast to the H160 that it replaces, the Hegel H190 ($4000) uses the company’s newest SoundEngine2, an upgraded DAC, and offers 50% more current than its predecessor. Driving the GoldenEar Technology Triton Reference with a Hegel Mohican reference CD Player, it produced a very open, natural, and detailed sound on Dream with Dean. AudioQuest Aspen speaker cables, Water interconnects, and a Niagara 5000 power conditioner helped vault this system into a strong "Best Sound for the money" contender. Hegel also introduced the H90 ($2000) which replaces the H80. It also uses the new SoundEngine 2. 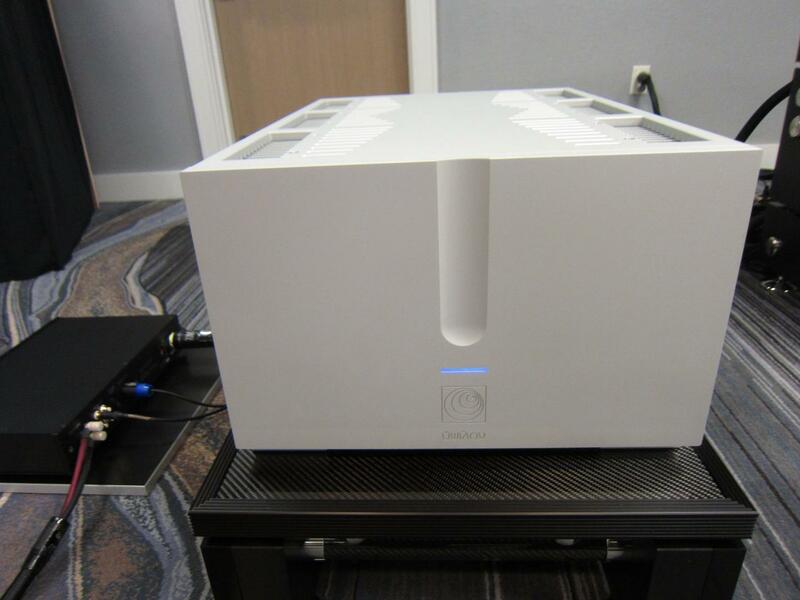 In the GTT room, the Audionet Watt ($18,800) had me fooled into thinking I was listening to a hybrid unit with its tube-like tonality driving Von Schweikert Endeavor E-3 MkII speakers with an Audionet Planck CD player. A solo violin sounded gorgeous, and soundstaging was very good. The dual mono Watt integrated is rated at 200Wpc (Class AB) into 8 ohms. 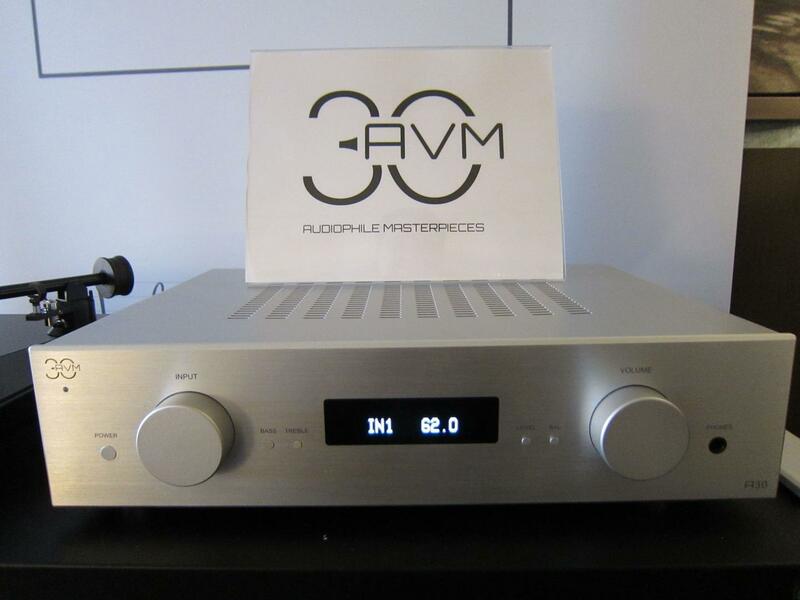 The new AVM 30 integrated ($2995) produces 110Wpc into 8 ohms via a Class A/AB output. It sports a hefty toroidal transformer, a dual-mono design, a built-in DAC, plus Bluetooth connectivity. In a Music Direct system with a MoFi Ultra-Deck Plus turntable and UltraTracker cartridge, UltraPhono phonostage (designed by Tim de Paravicini), and Wharfedale Reva 3 speakers, the AVM 30 sounded very smooth, quiet, and natural in presentation. NAD has been making terrific entry-level integrateds for decades (I started with a NAD 3140) and at RMAF the company introduced another: the NAD C 328 (50Wpc, $549) It utilizes switch-mode power supplies and Class D output stages, and comes with support for Bluetooth for wireless streaming, as well as an mm phonostage, a subwoofer output, a dedicated headphone amp, as well as analog, line, SPDIF, coax, and optical inputs. It is expected to ship in later October. When paired with PSB Imagine XB speakers ($499/pr.) the system produced a reasonably large soundstage, with good detail, and no edge. NAD also introduced a new Classic series stereo power amplifier: the C 268 ($799). It can be mated with a preamplifier, for bi-amping speakers, or as a slave amp. It offers 80Wpc but can be bridged to produce 300 watts in mono. Bryston introduced its BP17 Cubed preamplifier ($4000) that utilizes Bryston’s patented Salomie single gain-stage circuit found in all Cubed Series amplifiers. It features both balanced and single-ended inputs and outputs and fully discrete Class A analog circuitry, along with an optional mm phonostage and an internal DAC. In an all-Bryston system including a Bryston BDP-3/BDA-3 reference digital player and DAC, active Middle T loudspeakers, new BAS-1 active crossover/DSP, six channels of Bryston Cubed amplifiers (2.5B and 3B), and Straightwire cables, the sound had very good clarity and presence. Gamut introduced two new options for its D3i dual mono preamplifier: a phono board ($1990) and an open-reel tape board ($1990). The phono board offers mm and mc inputs with four gain settings, but it was the R2R board that really caught my attention. One can bypass the open-reel deck’s typically lousy electronics and go directly from the tape heads to the RTR board. Both boards can be retrofitted into other select Gamut preamplifiers. Combined with the Gamut M250i monoblocks driving the awesome Gamut Zodiac speakers via Gamut Reference cables, the sound was very open, dynamic, and natural with great deep-bass extension. Bel Canto’s new Black EX amplifier ($11,900) was making “analog-like” sound when coupled with its new Black EX DAC driving TIDAL Piano Diacera G2 loudspeakers. The EX amplifier is rated at 350Wpc and features a dual-mono design, advanced power filtration, and discrete single-stage high-current amplifier input and gain stages. The wonderful Shunyata Denali power conditioner and Dynamic Design Titania Series cables helped fine details emerge from a Frank Sinatra recording. Estoeric debuted a new E02 balanced, dual-mono phonostage ($9500) that was very quiet. It features two inputs, front-panel loading adjustments, and a cartridge demag feature. Combined with a VPI Prime Signature ’table with Ortofon Cadenza Bronze cartridge, Esoteric C-02X and S-02 electronics, and Canton Reference 3K speakers, music emerged from a black background, with wonderful soundstaging that also preserved the ambiance of the recording venue. The good news is that Gryphon is now available in North America courtesy of distributor On a Higher Note. Its Diablo 300 integrated ($16,000 base) is an update of Gryphon’s popular Diablo integrated. 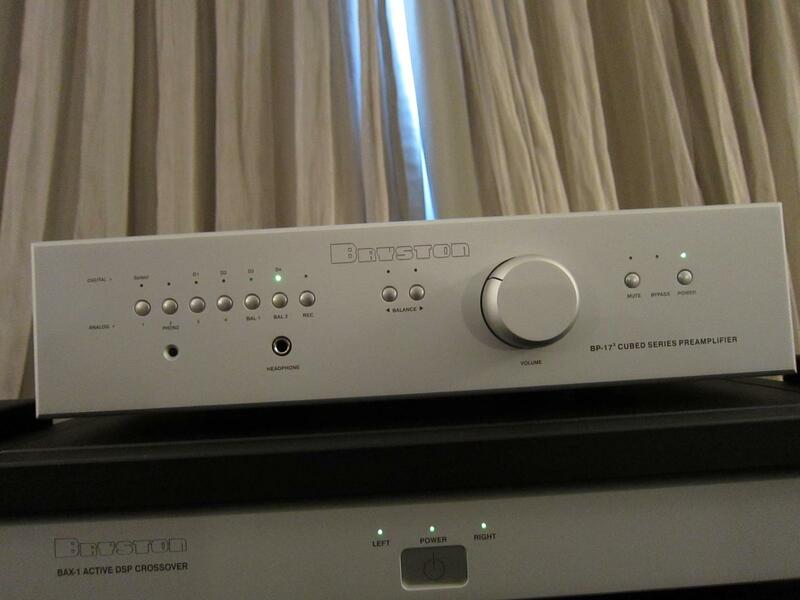 It operates without any negative feedback, and DAC and phono options are also available. Driving Pantheon speakers, Illinois Jacquet’s sax had authority and natural timbre, and the Diablo 300 offered wide dynamic swings with lots of impact on classical music recordings. 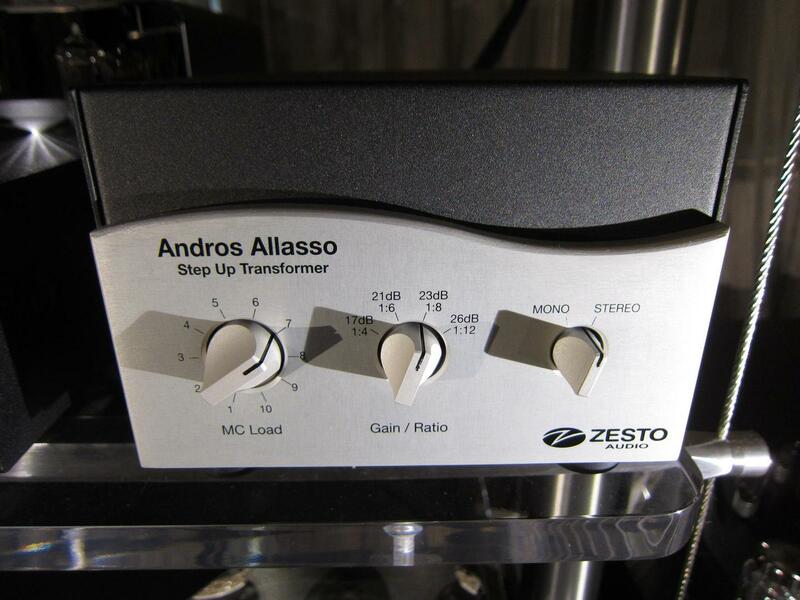 Moving outside my solid-state focus yet again, Zesto’s new Andros Allasso step-up transformer ($2995) helped produce one of the best sounds of the show. It offers balanced and single-ended mc inputs and adjustable loading, as well as an mm input. Its Mono switch is specifically designed to reduce “hum.” In a system with a Merrill-Williams REAL 101.2 turntable, two Triplanar U2 tonearms (for stereo and mono), Benz Micro Gullwing SLR and Ortofon Cadenza Mono cartridges, Zesto Leto 1.5 preamp, Zesto Eros 300 monoblocks, and Marten Django L loudspeakers with Fono Acustica cables, the sound was simply gorgeous---rich and full bodied, very dynamic, and spookily quiet with great inner detail and clarity. Audio by Van Alstine introduced its new Vision Q phono preamplifier ($499) and Parasound introduced a new phonostage, the Halo JC 3 Jr. ($1495). The Jeff Rowland Design Group’s Model 535 stereo amplifier ($5900), an all-balanced, Class D design rated at 250Wpc into 8 ohms was on static display but is now shipping. While Skogrand premiered a new flagship power cable ($20k for 2 meters), it was its more affordable Vivaldi cables ($750 for 2-meter interconnects or speaker cables) that really caught my eye. The Vivaldi uses silk sleeving and had a very low noise floor and very good rhythmic drive in a system with a VPI Signature Prime turntable, ModWright electronics, and Daedalus Apollo loudspeakers. The Mark Levinson (Harman) 585.5 integrated now sports a Class A phonostage. It mated very well with the brand's new No. 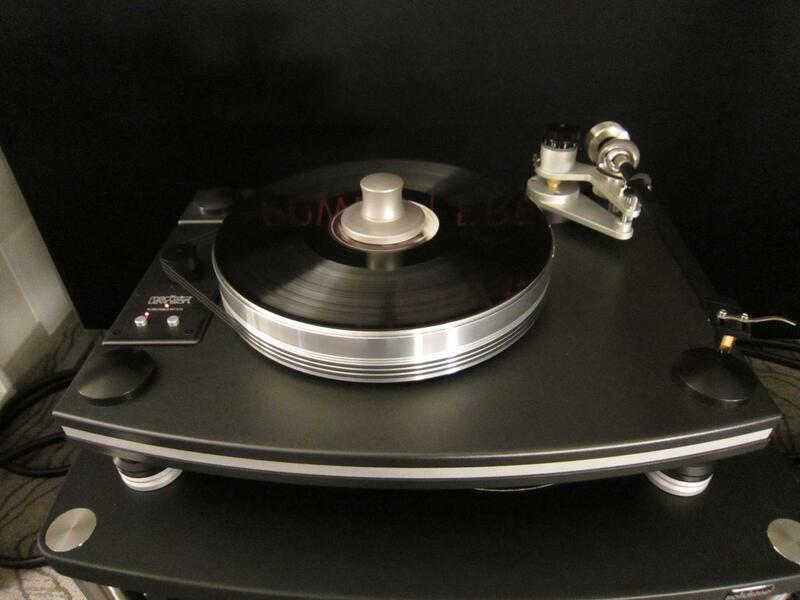 515 turntable (a collaboration with VPI), and this analog front-end was very quiet. Technics was showing its promising SC-C70 “all-in-one” system with integrated loudspeakers ($999), and announced that an SP-10R turntable will be forthcoming in 2018. VANA was showing its affordable EAT B-sharp turntable package, with B-note tonearm and Ortofon 2M Blue cartridge at $1595. 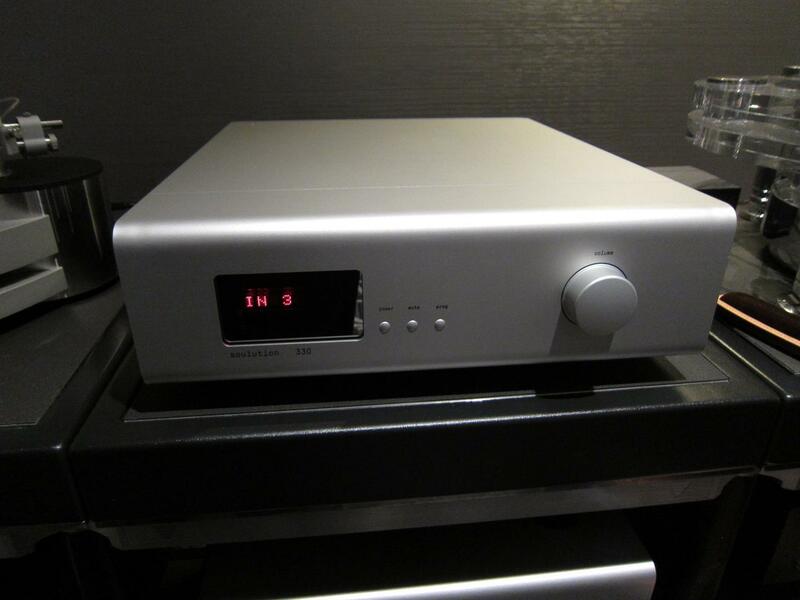 Moon by Simaudio demo'd a version 2 of its 600i integrated amplifier. Musical Surroundings was showing its remarkable SuperNova III phonostage ($5000), and its new Clearaudio Concept Black turntable ($1400). 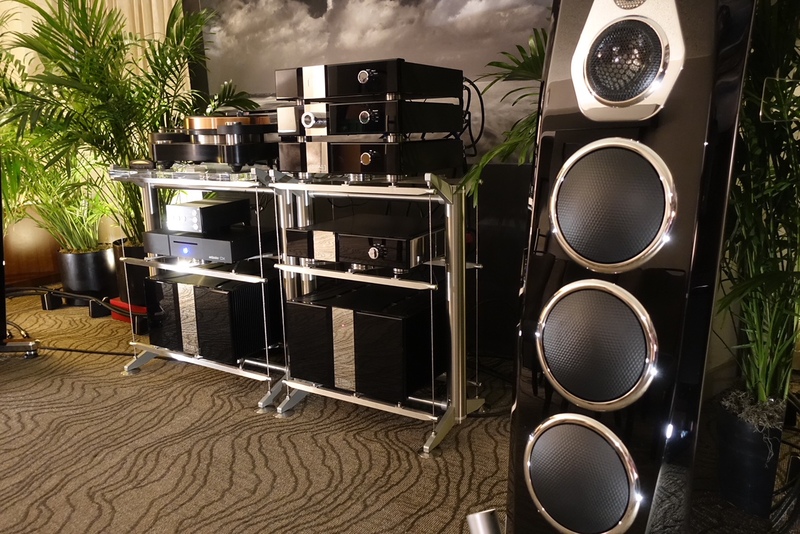 Ypsilon via AA Audio Imports was demonstrating its new MC26L step-up transformer ($6200) along with the powerful, hybrid Hyperion monoblock amplifiers ($93k/pr.) 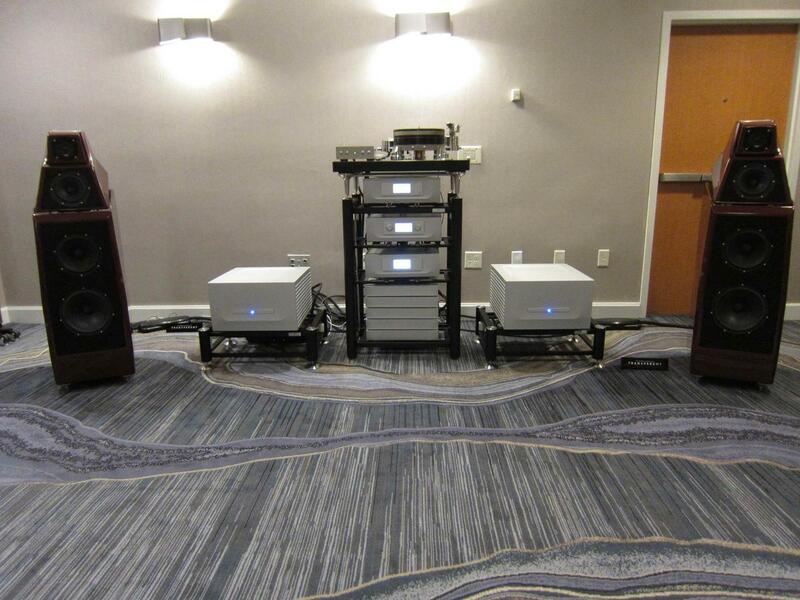 in an impressive system with Wilson Benesch speakers. Verity Audio was showing its new Monsalvat AMP-60 ($58k) and Pre-2 preamp/DAC ($35k) to drive the lovely Verity Lohengrin IIS speakers in a system from High Fidelity Services. Best Sound (Cost No Object): Tie: The amazing, time-aligned Wilson Audio Alexia Series 2 speakers driven by either the Nagra HD or Constellation electronics, as well as the TIDAL Audio Akira speakers with all TIDAL electronics. Best Sound (For the Money): The Hegel HD190 integrated with GoldenEar Triton Reference and AudioQuest Aspen and Water cables. Most Significant Product Introduction: Nagra HD preamplifier. Most Significant Trend: Still lots of turntables and an increasing number of open-reel tape front-ends. Most Coveted Products: The Soulution 330 integrated, Zesto Andros Allasso step-up, and Wilson Alexia Series 2 speakers already have me dreaming.